Remains of colonial heyday and the Historic Quarter’s most memorable church. 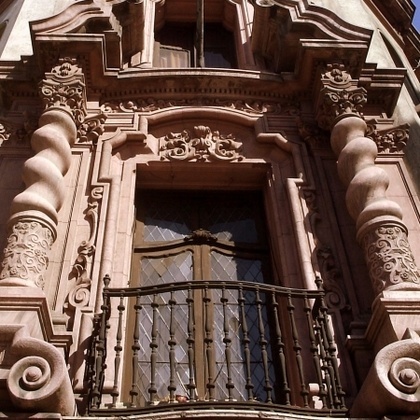 Santiago scarcely retains the flavour of its Spanish colonial past, and has, both intentionally and unintentionally, overridden much of the architectural styles that once related it to the rest of the continent. On the one hand, the city’s unfortunate relationship with Mother Nature has meant that only a handful vestiges of 16th or 17th architecture remain standing; on the other, a 19th century attempt to modernise the city along neo-classical lines prompted the transformation or even demolition of many of the remaining colonial buildings. It’s evident that after the proclamation of the country’s independence, ‘colonial’ often smacked of backwardness in the opinion of liberal Santiaguinos. The east of the centro histórico boasts a selection of colonial architecture. Obviously, the early Mercedarian churches were not immune to the intense earthquakes that oft devastated colonial Santiago, and the Basilica was last rebuilt in 1736. Today, the façade of the church is shadowed by somewhat tatty surroundings, not to mention the fact that part of the cloister is now incrusted in an adjacent office block. But don’t be fooled by first impressions; the interior of the church is dripping with baroque sculptures and decorations. The most outstanding features are the magnificent hand-carved pulpit and the altar displaying the 16th century image of the Virgin Mary brought by the first Mercedarian priests to arrive in the city. The creaking wooden floor, the wrought-iron chandeliers and the line up of colourful carved effigies create a haunting but emotive atmosphere. Stretching to the south face of the Church, the verdant courtyard is surrounded by a former cloister which now houses the Museo de la Merced (entrance from Calle MacIver). For years condemned to oblivion, this small museum made a comeback in 2004 and is now thriving with its diverse collection. 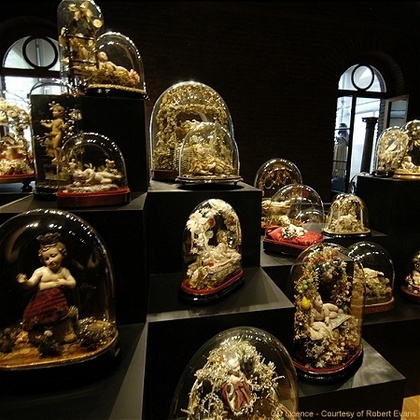 Perhaps the most interesting of all is the room containing the 18th century figurines of Baby Jesus encapsulated in bell glasses, although there are many more rooms dedicated to anything from archeological objects from Easter Island to art of mixed European and indigenous influences. There are more colonial relics to be found in the vicinity of the Basilica. From the tiny plazuela facing the church, follow Calle Merced in direction of the Plaza de Armas where you’ll find one of the most historically important buildings in the capital and one of the few houses of the time to remain in good conditions. Built in 1770 as the private residence of Don Mateo de Toro y Zambrano, the Casa Colorada (Red House) was the scene of the country’s first step towards self-government on 18 September 1810, when a handful of the city’s most eminent Liberals , presided by the homeowner hismself, first met at council. Ironically, the original intention of the meeting was to declare loyalty to the King Ferdinand VII of Spain, who was in exile at the time as a result of the Napoleonic invasions, except that local politicians soon acquired experience in government and a sweet taste for republican autonomy. When restored to the throne, Ferdinand showed little appreciation for this and other self-governing bodies throughout his Colonial possessions and ordered a swift return to absolutism. This was met with resistance of Liberals, resulting in the spread of Independence Wars across the continent with catastrophic consequences for King Ferdinand. The Chilean Independence period is narrated through an assortment of objects and documents inside the Casa Colorada, in an interesting Museum which also illustrates the history of the capital since its foundation. Other examples of colonial housing can be found as you make your way back to Calle MacIver and head north. Lying at the corner with Calle Santo Domingo is the scarlet-coloured Casa de los Velasco, a 1730’s construction with an imposing wooden balcony. Across the street is a set of neo-gothic buildings which constitute the church of San Pedro and Convento del Buen Pastor, the latter now housing the facilities of a private University and a theatre. Onwards via Calle MacIver and turning left on Calle Esmeralda stands another interesting colonial house in front of a leafy, fountain-studded square. The Posada del Corregidor Zañartu is perhaps the city’s most distinctively Spanish-American cottage-like house, creating an irresistible mismatch of styles with the surroundings buildings of neo-classical European architecture.